The Times: Is this the cleverest new town in Britain? 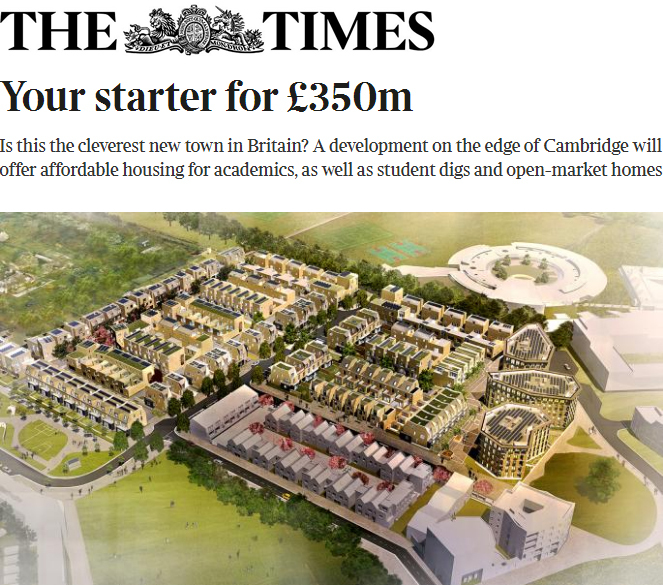 Cambridge University’s exceptionally ambitious North West Cambridge Development, including ABA’s Veteran Oak Quarter, has been featured in The Sunday Times’ property section. “Is this the cleverest new town in Britain? 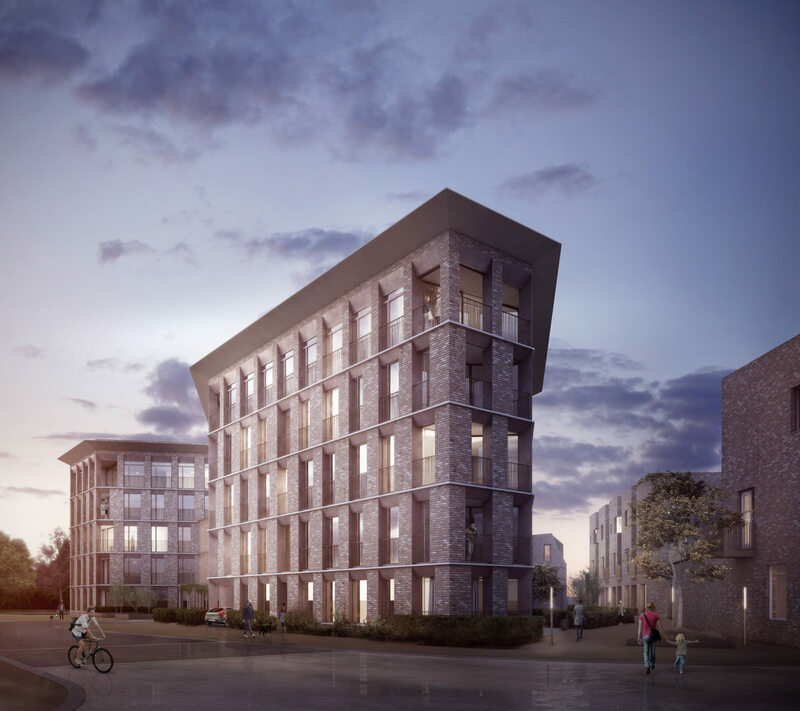 A development on the edge of Cambridge will offer affordable housing for academics, as well as student digs and open-market homes. “’We want this to be an exemplar development,’ says Heather Topel, acting project director for the North West Cambridge development… The residents won’t have to deal with the messiness of a weekly bin day. Instead, the 700 rental apartments will be served by underground bins, with an electronic monitoring system sending a message to a control centre whenever one is full. The university has commissioned a special lorry to do the emptying. “A series of artificial lakes is being created on the edge of the development to contain excess rainwater runoff, which will then be recycled back into the system and used for washing machines and toilets, as well as to irrigate green spaces. Gravel dug out of the first lake has been piled up to create a grassy hill and block out traffic noise from the nearby M11. Once complete, the lakes will be a refuge for wildlife, walkers and runners, with public art installations designed to function like modern-day follies. “A dedicated energy centre will provide hot water and central heating, doing away with the need for boilers in every property. In addition, the roofs will have solar panels and 20% of all the energy consumed will be produced on site. “Cars will be parked underground, and running right through the development will be a “green superhighway” for pedestrians and cyclists. Residents will be able to cycle to the city centre or Cambridge North station (due to open in May) within 10 minutes.